Your best bet for transfers is Starwood Preferred Guest of course since they transfer 1 to 1 to Aeroplan and if you transfer 20,000 Starpoints at one time SPG will throw in an additional 5,000 miles for 25,000 Aeroplan miles. 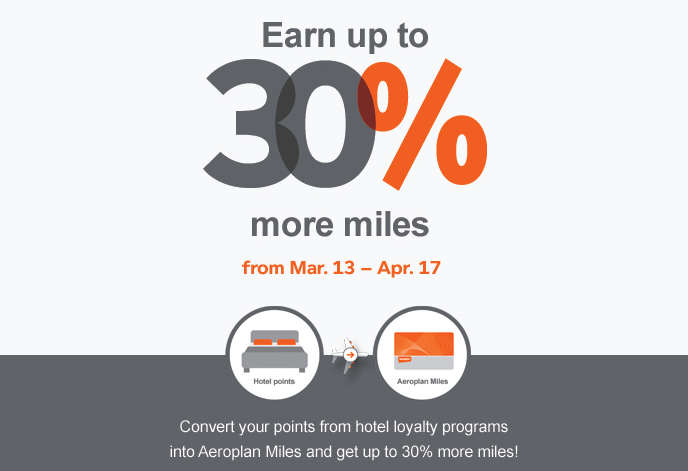 With the conversion bonus you are actually looking at adding at least 20% to that so you'll get 30,000 Aeroplan Miles for the 20,000 Starpoints. Those 30K miles can get you two short haul tickets so you can see the potential value in transferring Starpoints to Aeroplan. In fact if you can get to the 200,000 mile level in transfers from one or more of their hotel partners you'll end up with 260,000 Aeroplan Miles which is more than enough miles for two business class tickets to Europe. Some of you may find great value in that. Of course if you have points sitting in other hotel programs that you may never use or are about to expire you should look at transferring them to Aeroplan so that you actually get some value out of them! 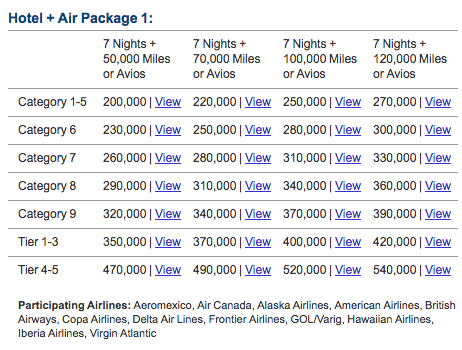 You can always look at grabbing hotel credit cards just for conversion bonuses like this. Although time is limited and the bonuses you get from these cards probably won't post in time for this conversion period you can definitely have them ready for the next bonus! The best no foreign transaction fee card in Canada makes it to this list due to a very strong acquisition offer. I mean who can complain with 30,000 to 50,000 points awarded on approval all at no cost as the card has the annual fee waived in the first year! They also give you a 15 night credit into the mix which automatically provides you with Marriott Rewards Silver Elite status. Please note there is a 50,000 point offer floating around that is specific for Marriott Elite members and some people are reporting that they getting the points while some others are not. YMMV but no matter what you should get at least 30K. Right now there is an offer for 40,000 Bonus Western Rewards points with this card! With no annual fee to boot! We detail the offer in this post that shows just how much value you can pull out of the card with this 40K bonus! The sign up bonus for this card has now been 20,000 Starpoints for some time and this is the only card in this list that doesn't have the first year fee waived. That doesn't matter. This is by far the best hotel points card in Canada and Starpoints have huge value. 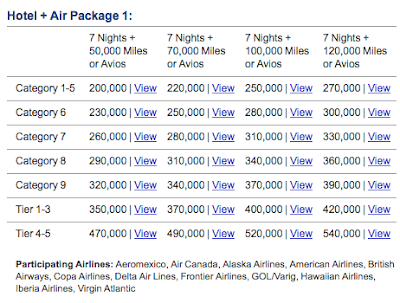 The 20,000 Starpoint bonus is received when you spend $1,500 on the card and is worth at least $400 when redeeming them for Starwood Hotel stays or you can convert them to airline miles in over 30+ programs and Starwood will kick in an additional 5,000 miles when you transfer 20,000 Starpoints at a time.